“Therefore I tell you, do not be anxious about your life, what you will eat or what you will drink, nor about your body, what you will put on. Is not life more than food, and the body more than clothing? Look at the birds of the air: they neither sow nor reap nor gather into barns, and yet your heavenly Father feeds them. Are you not of more value than they? And which of you by being anxious can add a single hour to his span of life? And why are you anxious about clothing? Consider the lilies of the field, how they grow: they neither toil nor spin,  yet I tell you, even Solomon in all his glory was not arrayed like one of these. But if God so clothes the grass of the field, which today is alive and tomorrow is thrown into the oven, will he not much more clothe you, O you of little faith? Therefore do not be anxious, saying, ‘What shall we eat?’ or ‘What shall we drink?’ or ‘What shall we wear?’  For the Gentiles seek after all these things, and your heavenly Father knows that you need them all. But seek first the kingdom of God and his righteousness, and all these things will be added to you. There’s a lot to worry about. How will Titus do? How will the teachers treat him? How the other kids treat him? What happens when they don’t understand what he says to them? What happens when he doesn’t understand what they say to him? Do I trust these people with my kid? What if he disobeys? How long will it take for him to get a grasp of the language? What if he struggles with the language? What if he hates it? What if he struggles? See what I mean? There’s a lot to worry about. But Jesus says, “…do not be anxious about your life.” You can’t take that to mean much else except that you shouldn’t worry about anything in your life. Oh sure, He qualifies it with a few things like food and clothing, but we know He’s talking anything in your life in it’s fullest sense…like your kid’s first day of school. And Jesus explains why. I’ll paraphrase and apply to my situation, but He’s essentially saying, “God is control. He takes care of everything else, so He’ll take care of your son at preschool. Listen, I know what you need and I know what Titus needs. I will take care of it all, you just seek after Me.” That’s a lot easier than worrying, especially since the Creator of the universe has got it all under control. I’ll just seek after Him. I don’t know what will happen tomorrow. Maybe it’ll be great, and I hope it is. Maybe it won’t go so well, but I hope not. Either way, I can trust the Lord knows and is in control of it all. I can look to Him when I don’t know what to do or what to think. He has a vision for our lives and specifically for Titus’ life and He will be faithful. 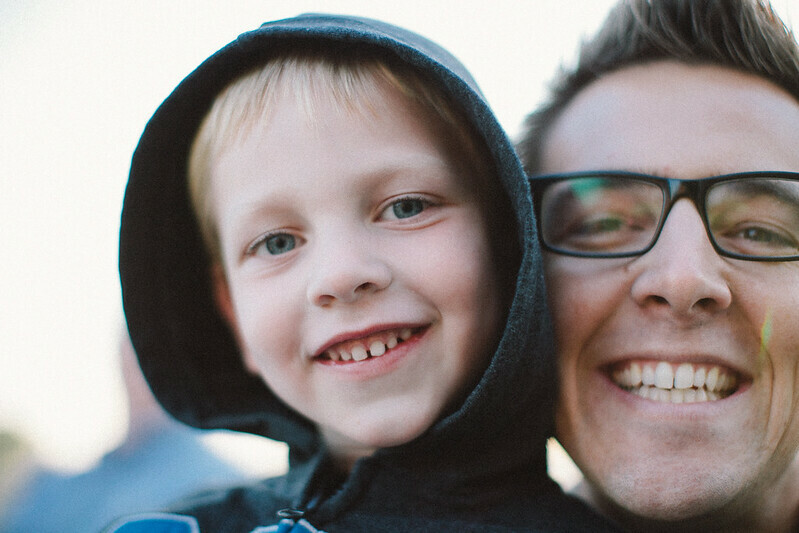 I realize it’s just preschool…but I love my son. I want the best for him like every other dad and sometimes that can can push me in to anxiousness. Praise God that I don’t have to stay anxious, but can seek after Him and trust He will take care of it all. Ah, I badly needed this reminder today myself! Thank you for sharing, Shay. Daniel and I will be praying for Titus to have a great first day and adjust quickly to preschool in Czech!